Happy to be published in this month's Professional Photographer Magazine, following a competition I won through PhotoVoice. 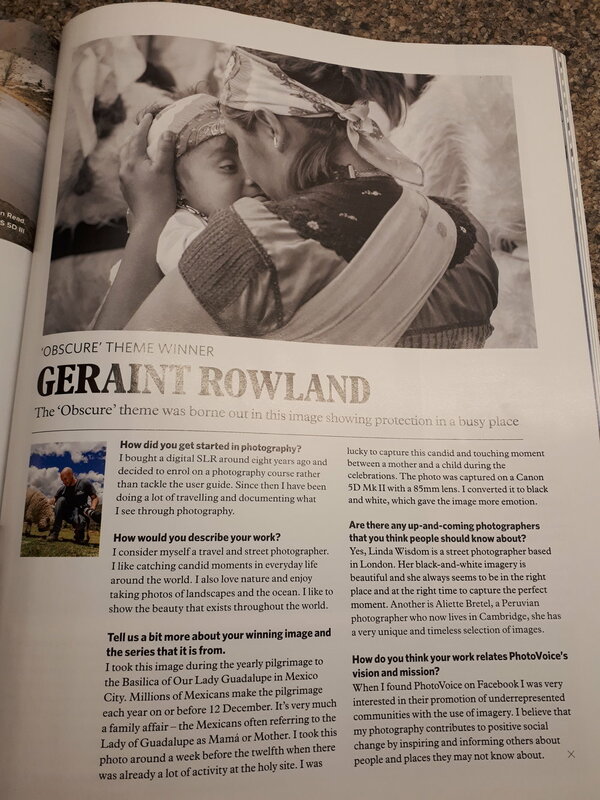 PhotoVoice competition winner Geraint Rowland's photograph published in Professional Photographer magazine. The photo will be part of an upcoming photography exhibition in London which I hope to intend. Always nice to have work published, especially in a magazine of such high quality. The photograph which one the competition was taken at the Basilica of Our Lady of Guadalupe, A Roman Catholic Church in the North of Mexico City. Here is a version of the image on my Flickr site. More of my street & travel photography can be found on my website, my Instagram, and my Flickr account. If you are interested in purchasing any prints, using an image online or would like further information please send me an email at: geraintrowlandphotography@gmail.com.